BEREA, Ohio (AP) — Other than trying to save a coach’s job, secure the No. 1 overall draft pick or simply survive, the Browns haven’t played many meaningful games in December or January. With a chance to further legitimize themselves as no longer being the “same ‘ol Browns,” and with their playoff pulse accelerating, the Browns go on the road to play the Houston Texans, who have won eight straight games and have perhaps the NFL’s best defensive front seven. It’s a daunting challenge for the Browns (4-6-1), but they feel up to it. With back-to-back wins for the first time since 2014, Cleveland’s players are brimming with confidence. They’re following brash rookie quarterback Baker Mayfield’s lead and believe they can not only play with any team, but they can beat any team. 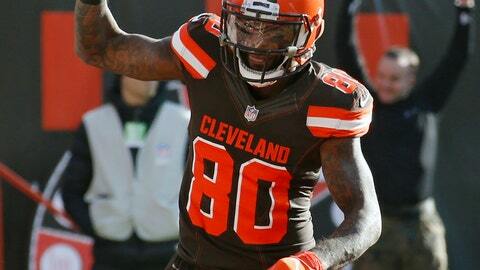 Wide receiver Jarvis Landry isn’t quite ready to say the Browns have arrived. But after so many miserable seasons, they’re headed in the right direction. The Browns avoided infamy last week by snapping their 25-game road losing streak with a resounding 35-20 win at Cincinnati, a victory punctuated by Mayfield’s chilly handshake with former coach Hue Jackson afterward. The Mayfield-Jackson affair created some big headlines and debate, and also overshadowed the bigger story surrounding the Browns, who haven’t been to the postseason since 2002. The fact the Browns are even playing a significant game in December is an accomplishment, and they’d like to be in a few more. “If we want to have any postseason dreams, we got to keep this little streak going,” defensive end Myles Garrett said. Cleveland hasn’t fared well in late-season games, going 2-21 since 2013 in December and January, and 9-38 over the past 10 seasons. But those are past Browns teams, not this one, and after ending several losing streaks this season, Landry said he and his teammates understand what’s in front of them. If they’re to be taken seriously, and if they intend to become consistent winners, the Browns must beat a quality team and the Texans certainly qualify. Houston is clicking following on 0-3 start. Quarterback Deshaun Watson looks fully recovered following knee surgery that ended his rookie season, and star defensive end J.J. Watt is healthy and terrorizing quarterbacks. NOTES: S Damarious Randall was added to the injury report with a hamstring issue and his questionable for Sunday. Interim coach Gregg Williams doesn’t think Randall will miss the game.